Cafe Bastille is located at Belden Place and down the well lit alleyway. 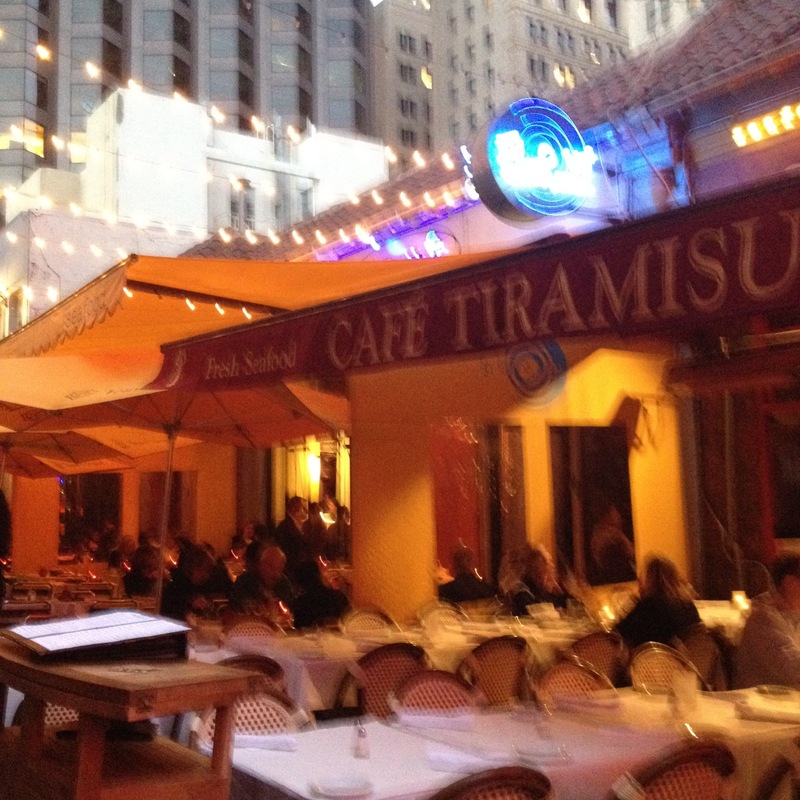 Bastille is located right near to Cafe Tiramisu three quarters down the string of restaurants with outdoor seating and awnings. 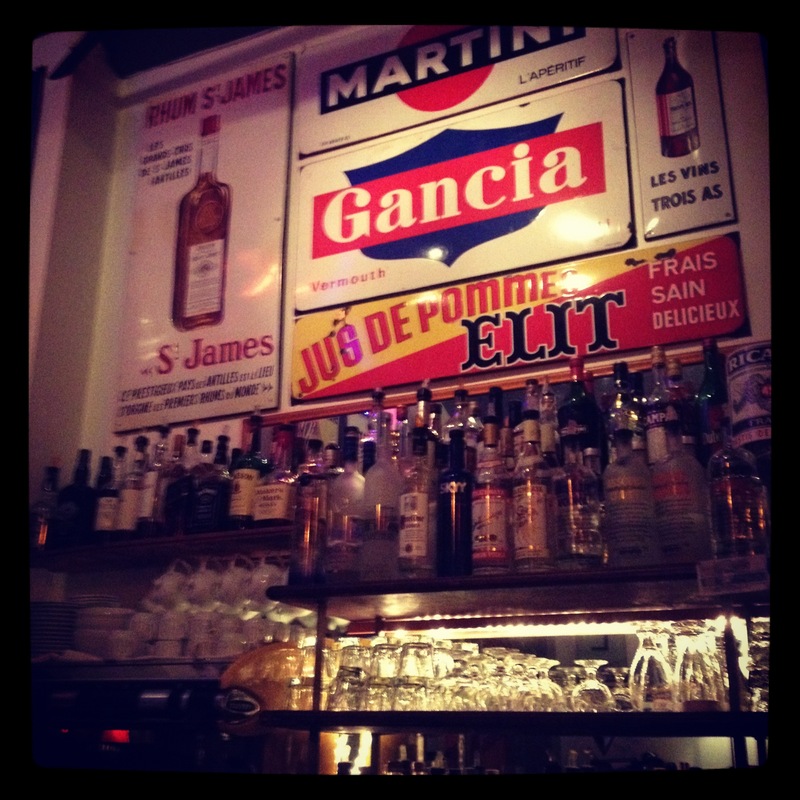 The walls were adorned with French vintage memorabilia and it was quite vibrant and fun to glance over. 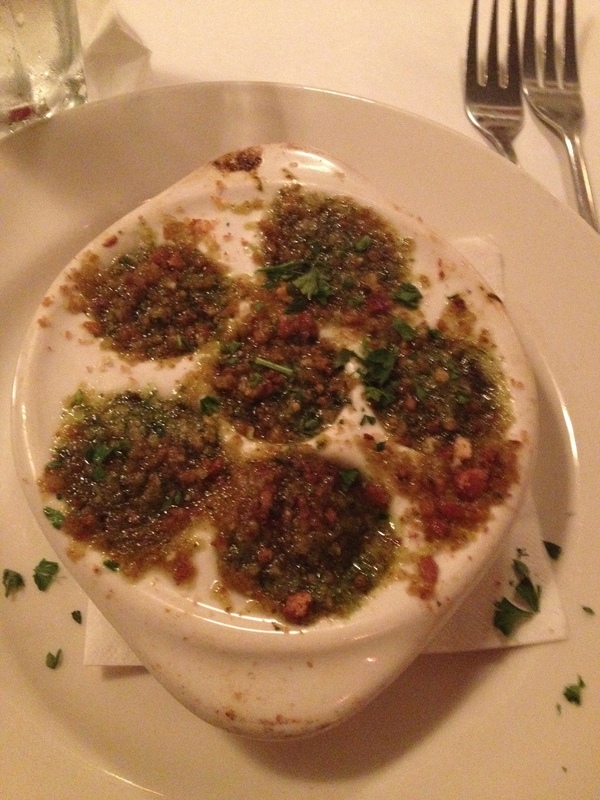 We decided on a three course Prix Fixe $32 and started with the escargots de bourgogne in garlic and parsley butter $10.50. 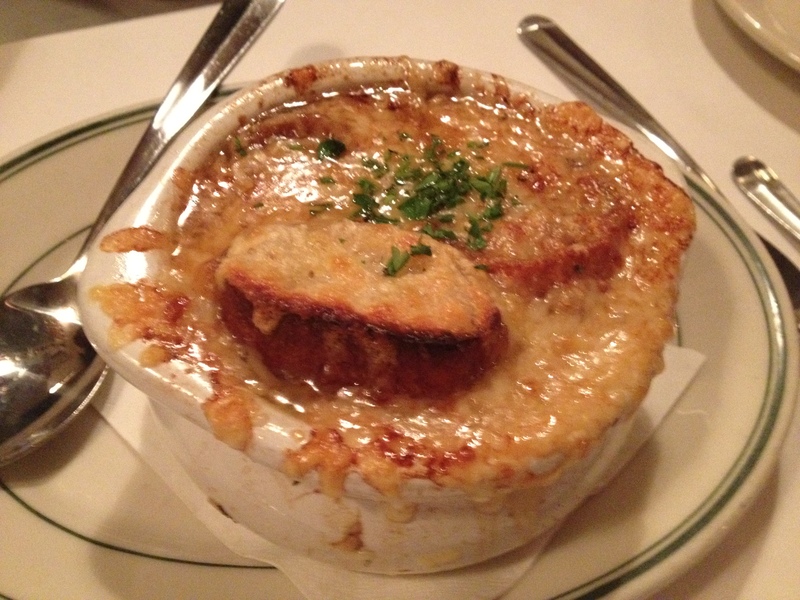 Our dining companions seemed to enjoy the French onion soup for $7.95 with a large crouton and layers of cheese. 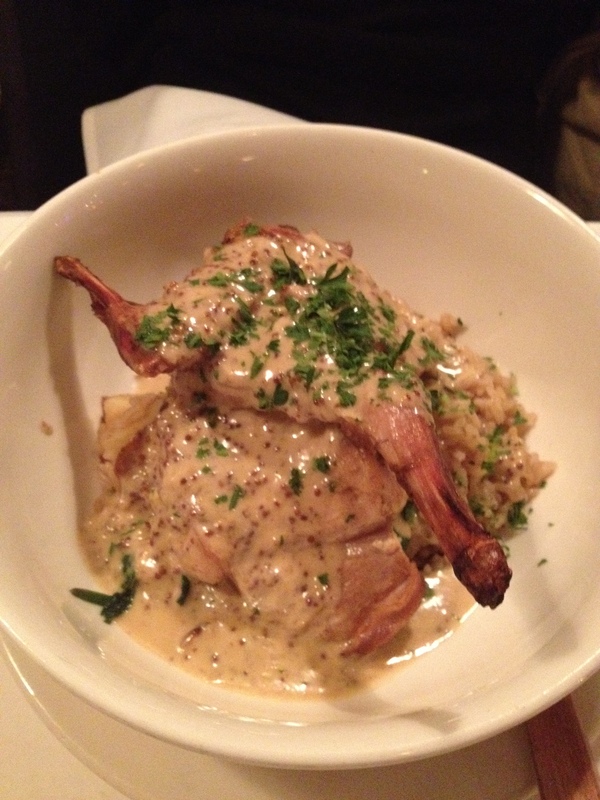 The Lapin a la moutarde rabbit in mustard grain sauce for $19 was nothing to write home about. Although cooked well, the flavor was fine, but nothing memorable. In fact our dining friend, ate only a few bites. 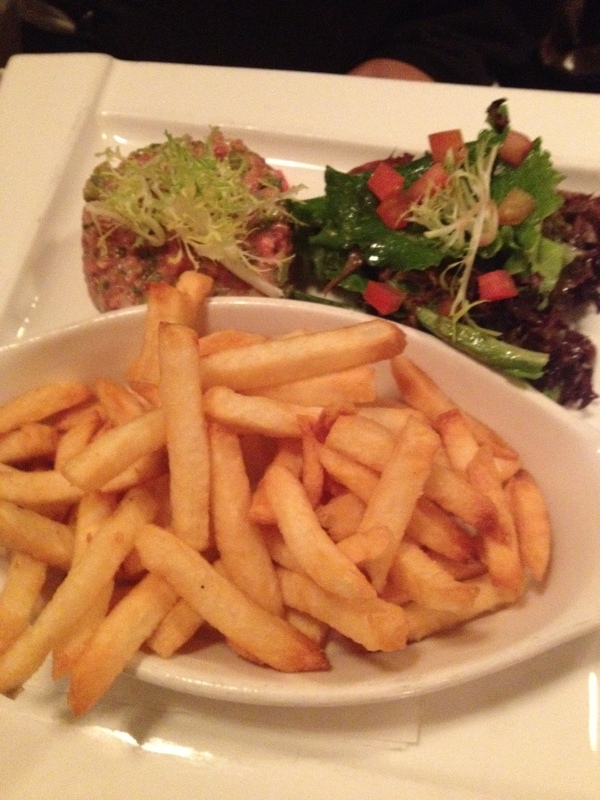 The Steak Tartare for $13 was diced finely and was again nothing special or anything to write home about. 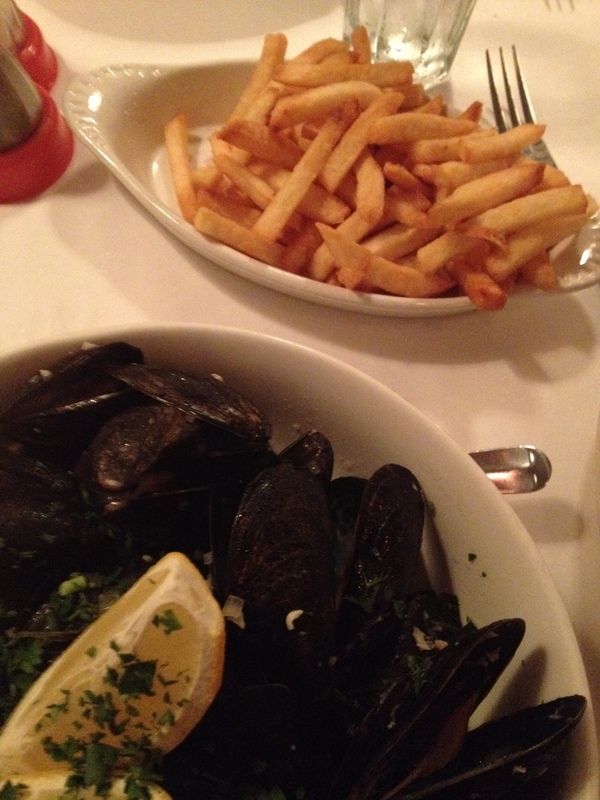 The one dish which was well executed and was devoured was the Mussels Marinere white wine, shallots, parsley for $16.50 with all you can eat french fries. The thin, nicely seasoned fries were very tasty and quite addictive. 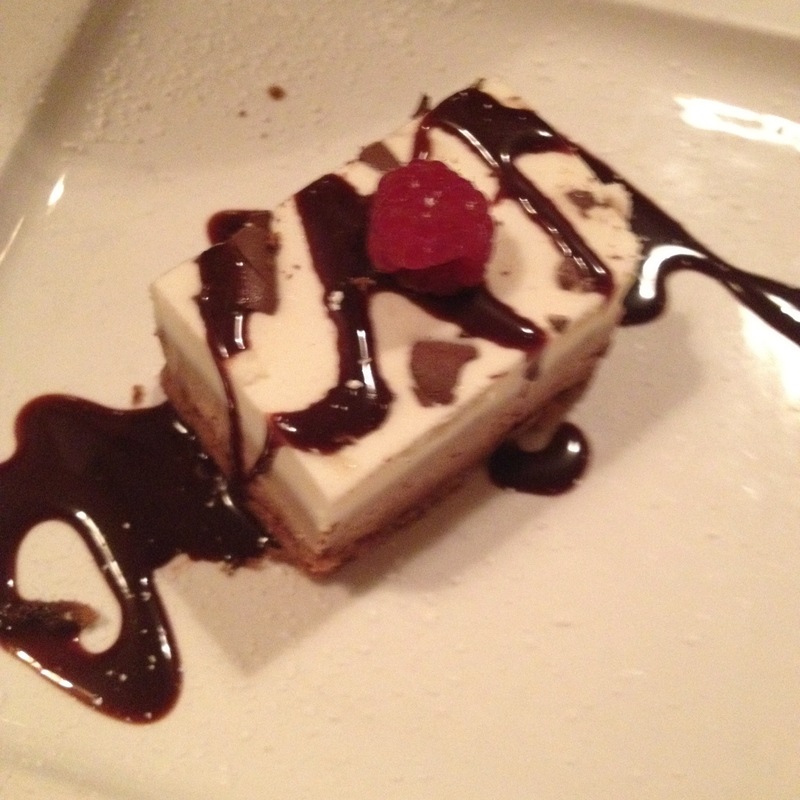 We shared the triple chocolate mousse which was unfortunately not as expected. It was more cocoa like versus deep chocolate as one would hope. 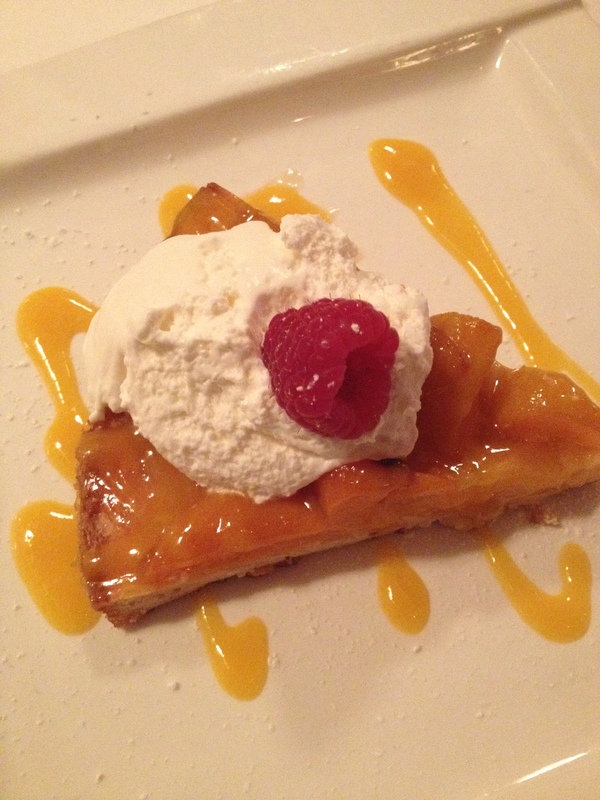 The Lemon drizze and apple tarte with cream was quite delightful. A nice balance of lemon notes and tart. 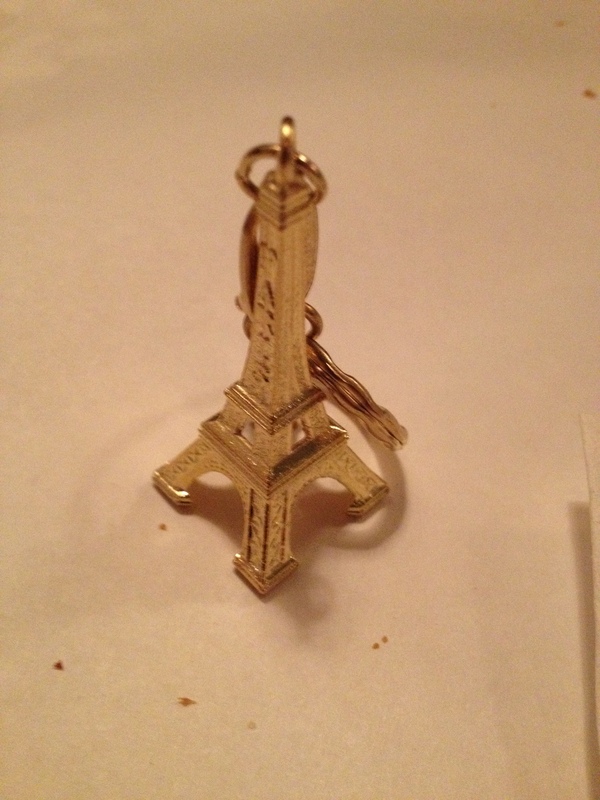 Would we return to the Cafe Bastille, if we were in the area and looking for something French American yes. But, be selective on items and that most dishes can be one dimensional.